Can Cell Death Keep Cancer Patients Alive? Programmed cell death is making a name for itself as a pathway in cancer drug development. We asked ourselves: what is this process known as apoptosis and why is it a sought after drug target? Apoptosis is a system that evolved in cells for detecting damage to DNA and proteins within a cell. As a cell develops, apoptosis can kick in and direct the cell down a self-destructive path, killing itself for the greater good of the organism. It is the accumulation of damage within the cell that triggers cell suicide, thereby removing cells from tissues before they affect nearby cells or become cancerous. 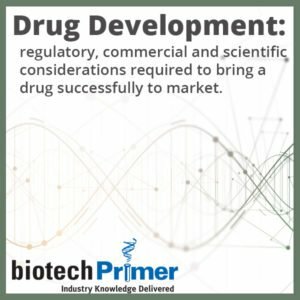 The drug discovery industry is interested in learning more about apoptosis as a means to better understand how some cancers develop and how to treat them. In fact, some cancers are tied to defects in this suicide program—cells marked for death can survive and continue to mutate long after they should have self-destructed. Let’s take a magnifying glass to the process of apoptosis to see exactly what is has to offer in cancer drug development. Apoptosis is an important part of cellular development and defense. A set program of biochemical changes occurs after apoptosis is induced, including the breakdown of the genetic material and the breaking away of small bits of the cell into separate membrane-bound vesicles known as apoptotic bodies. These are recognized and destroyed by white blood cells. In contrast, necrosis is cell death that is the result of an external injury, such as an infection or trauma. Unlike the apoptotic bodies produced during apoptosis, necrotic cells are usually not destroyed by white blood cells. The necrotic process may result in the buildup of decomposing dead tissue and cell debris, further resulting in gangrene. As proteins in cells carryout their functions, they naturally begin to suffer damage and break down. A proteasome is a specialized compartment within the cell that is responsible for getting rid of damaged proteins via dismantling the peptide bonds that hold it together. One way to manually activate apoptosis is by blocking or lessening the number of proteasomes. By stopping the proteasome from performing its function, the damaged proteins build up within the cell. Apoptosis is then activated and the cell terminates itself in response to the accumulation of damaged proteins. 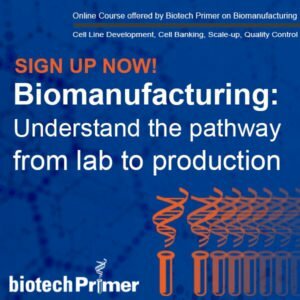 What small molecule drugs use proteasome inhibition? Velcade, marketed by Millennium Pharmaceuticals (Cambridge, MA) has been approved for the treatment of multiple myeloma. Krypolis, developed by Onyx Pharmaceuticals (South San Francisco, CA) has been approved as a second-line treatment for multiple myeloma. During the development of the nervous system, neurons in the brain are selectively pruned to give rise to the final structure, thanks to apoptosis. The webbing between the fingers and toes of an embryo disappear during development due to apoptosis. In the average human adult, between 50 and 70 billion cells die each day and in children (8-14 years old), between 20 and 30 billion cells dies per day because of apoptosis. Arginine-deprivation therapy is based on the fact that certain types of cancer cells lack the ability to produce the amino acid arginine—a necessary building block of proteins healthy cells make for themselves. Areas targeted by arginine-deprivation therapy are stripped of their arginine, both healthy cells and cancerous cells. The healthy cells will replenish their lost arginine while the cancer cells will be unable to replenish their arginine. This creates a state of apoptosis due to the resulting damage from the loss of arginine, inclining the cancer cells to travel down the path of programmed cell death. The bonus is that only the cancer cells are exploited here, potentially creating a therapy less toxic than traditional cancer treatments. Polaris Pharmaceuticals (San Diego, CA) is taking advantage arginine-deprivation therapy with an experimental small molecule drug called ADI-PEG 20. ADI-PEG 20 is in Phase III clinical testing for liver cancer and Phase II testing for melanoma, mesothelioma, small cell lung cancer, acute myeloid leukemia, and non-Hodgkin’s lymphoma.